When Does it Make Sense for a Business to Use a Fulfillment House? When Should You Upgrade Services? Sometimes you may not know when you need a service enhancement or upgrade until after you have a disaster. This newsletter addresses when a business should consider using a fulfillment house and when they should consider upgrading their existing services to a new level. As always when you have a fulfillment or logistics need, Medallion Fulfillment & Logistics is here to provide custom solutions for your needs, just ask us! Most ecommerce companies are surprised by how little third-party fulfillment costs, particularly when compared to how much they already spend to warehouse, package, and ship products. Outsourcing order fulfillment is cost effective and allows you to switch variable costs to fixed costs. Gene Kent, President of Medallion Fulfillment & Logistics said, "Many times companies are surprised at the overall cost savings our services have supplied when they review their bottom line after the first six months. As we have heavily invested in technology, both in order processing and bar coding in our warehouse, we are able to process orders faster and cheaper than you can typically do yourself." When you compare the total cost of order fulfillment, i.e. maintaining a warehouse, lease payments, staff, benefits, unemployment taxes, insurance etc., to an order fulfillment provider's fixed cost model, you quickly realize that making the switch saves money. Your business can save from 20 to 50 percent on current order fulfillment expenses. Many businesses, who are using a fulfillment house already, forget that as they grow their business needs grow, and they should review their fulfillment agreement periodically in order to add additional work and time saving services. Existing office staff may need to outsource an additional portion of the paperwork that is part of the supply chain process or move to automation for ordering in order to be efficient and handle the increase in sales volume. Our office staff can help your business office operate more efficiently by taking on the tasks that are closely aligned with the order and shipping functions of your business. A high quality order fulfillment company satisfies customers which lead to repeat business. "Our warehouse bar coding system eliminates problems. When customer merchandise is received in our warehouse it is immediately bar coded and entered into inventory. Hand held scanners are used by our packers and your inventory is tracked all the way to order shipping. We are using one of the most technologically advanced order and inventory management systems allowing business owners to review stock and order statuses of items on our system 24/7 from anywhere in the world just by using the Internet." said Gene Kent. Looking to expand beyond your current sales base? Fulfillment houses are ideal for companies seeking to sell products overseas because they have the expertise to ensure your products arrive on time and safely. If you're seeking to expand your company's customer base by providing customers more alternatives for ordering products and paying, don't increase your overhead, outsource the fulfillment process. As your company expands, a fulfillment company can handle your wholesale or B2B orders. Wholesale orders from large retail chains, catalogs and other mass merchants have different demands than business-to-consumer orders. The penalty for noncompliance with an order from a chain of retail stores for even something trivial can be costly. Fulfillment houses routinely work with wholesale orders and can develop order processing checklists for your account to assure that your orders are completed based on the requirements of the wholesaler saving you costly chargebacks. If you're considering adding new distribution channels or initiating major new promotions, be prepared for potentially thousands of new orders overnight. A huge increase in orders may overwhelm your back-end system; delaying shipments which leads to unhappy customers. An experienced fulfillment company knows how to properly take care of a large increase in orders. A fulfillment house allows you to ramp up very quickly without increasing your overhead. If your company has a difficult time maintaining a balance between inventory supply and demand, a knowledgeable order fulfillment company can make a huge difference. Foreign Companies Selling in the U.S. Businesses based outside of the United States, partnering with a fulfillment service save time and money because they don't need a warehouse, office and a staff in the United States; they can focus on obtaining new customers. They know how to handle opportunities and problems which may occur as your business expands. Only pay for fulfillment services when you generate sales. 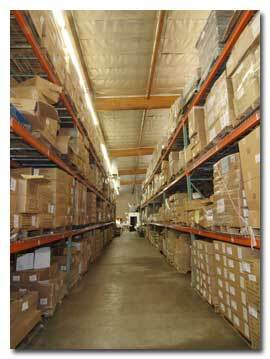 No need to obtain a larger facility to store products when the business expands. Bulk shipping rates available to fulfillment companies; high shipping cost can break deals with clients. They buy shipping materials in bulk at better rates. An active fulfillment company stays current with the latest software and order processing technology. If your business experiences low volume and high volume days, fulfillment firms eliminate the employee cost associated with the fluctuation. You refine and improve your backdoor operations. Many nationally known companies reap the benefits of partnering with a third party fulfillment center. Small, medium and large businesses can do the same. With 28 years as a fulfillment service provider, Medallion Fulfillment & Logistics understands your culture, brand, and products from a depth of real world experience. Isn't it time to find out how you can save time and money on order processing while you work on expanding your market and sales? With warehouse space open at our Chatsworth, California facility we are now actively looking to add to our client-base. We'd be glad to give you a free price quote for upgrading or adding to your current services for your business. Just ask us for a free account review!